MOVE IN READY!!!! HURRY!!! !MOTIVATED SELLERS!! !This well maintained home had been completely renovated just a few years ago!! Everything from kitchen to flooring to bathrooms!! Wood cabinets, granite counter tops, 20" tile and wood laminate in bedrooms, crown molding, pantry, den/office, jack + jill bathroom in this great open floor plan. Pocket-sliders open up to screened in lanai and a fenced in yard for privacy with a built-in fire-pit for your entertaining. 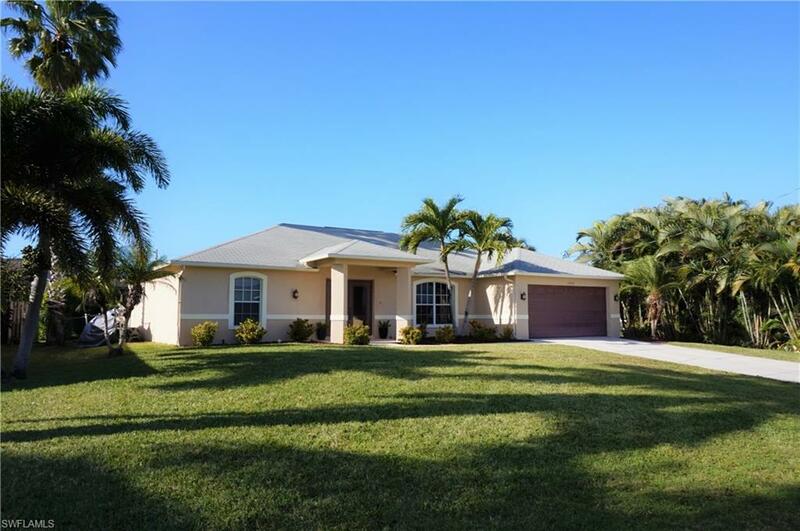 Wonderful location close to shopping, dining, boating, beaches, golfing, SW Florida International Airport, and more!! All assessments in!! Call now for your private tour!! !